You may have been to a wedding with a photo booth or, at the very least, seen photos and read articles about the popularity of photo booth entertainment, but you may not have considered how many wedding planning problems a modern photo booth can help solve. Here you’ll find 6 such snafus that may come up while you’re planning and how an open-air booth takes care of each. 1. We’re not sure what kind of interactive entertainment we should provide for guests. Chances are you’ll have hired a DJ or band for your wedding, which can provide interactive entertainment, but renting a photo booth can give guests even more reason to celebrate and have fun. Not only does it bring families and friends together, it helps break the ice and get people mingling and laughing. When guests break out the props and step in front of the camera, the mood lightens and even the shyest person gets in on the action. 2. Some of our guests don’t like to dance. What can we do to include them in the fun? 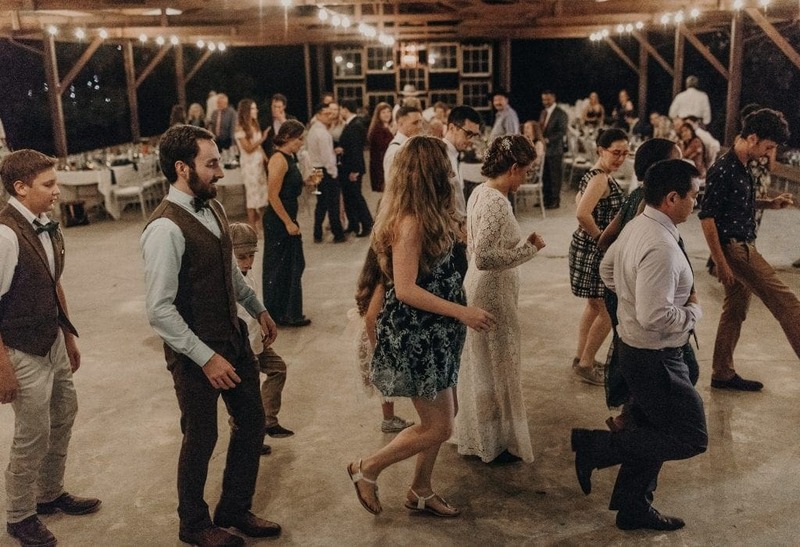 Not everyone likes to shimmy and shake on the dance floor, and even those who do will want to take a break every now and then. So what do these guests do? Visit the photo booth! Don’t leave your non-dancing friends to sit at the table or wander around wondering what to do to pass the time. Setting up a photo booth gives every guest a chance to get involved in the wedding fun. 3. We want to give wedding favors guests will actually want to keep. In survey after survey, wedding guests continue to say that they really don’t care about favors. After all, who needs or wants some kind of plastic knick knack or monogrammed stationery? And although edibles are typically a safe bet, guests beg you not to hand out jordan almonds, no matter how beautifully packaged. Photos, on the other hand, are keepsakes, and people can never get enough pictures of themselves, friends, and family. 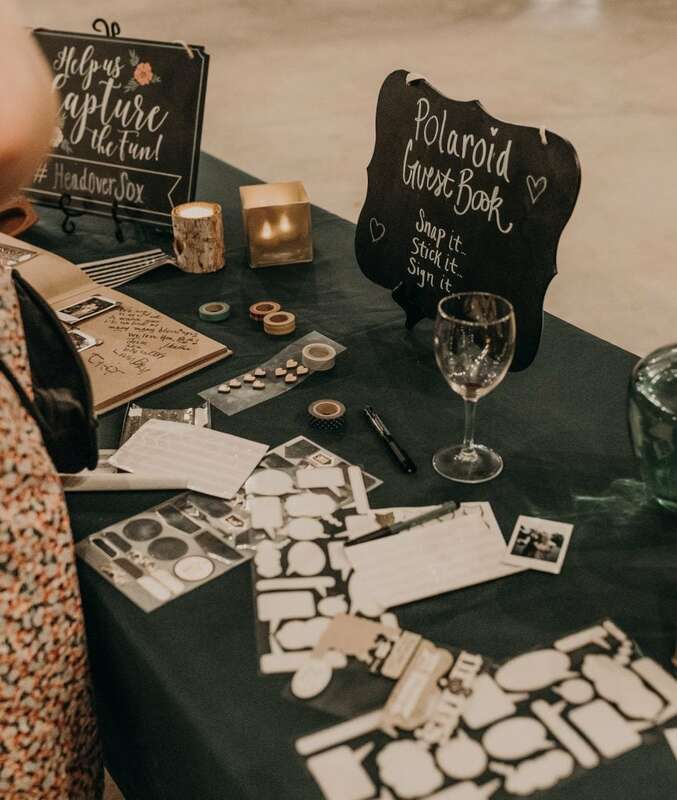 A photo booth prints out photo strips and 4×6 prints, as well as delivers digital copies, so guests will have something from the wedding day that they won’t want to leave behind or throw in the trash as soon as they get back to the hotel. 4. 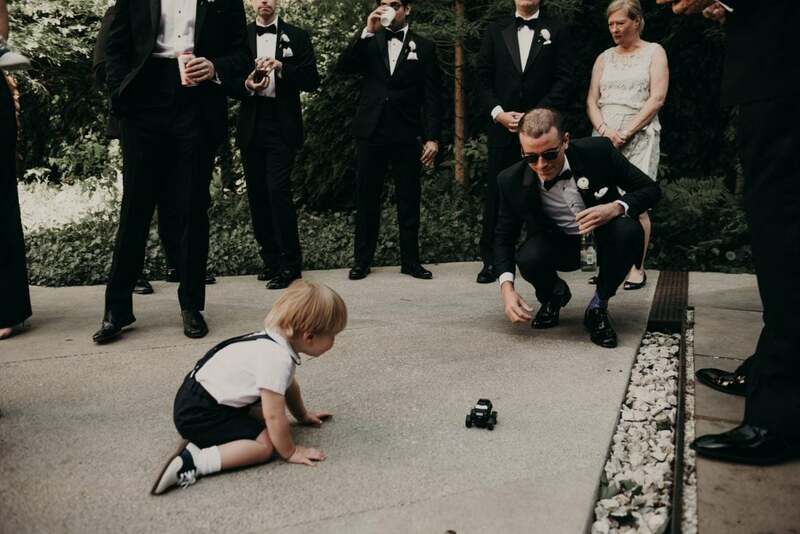 How can we make our wedding stand out? 5. We’re not sure how to get people to use our wedding hashtag. A WeddingWire newlywed report found that more than half of couples create a hashtag for wedding-related events. Not only can it act as a modern monogram (print on napkins or use as a photo booth backdrop), but it’s a great way to find all those guest-captured wedding photos. 6. How can we keep the kids entertained? For those inviting younger guests, whether kids or teens, you’ve probably wondered what a happy medium kind of activity is. Coloring and puzzle books generally work for the little ones, but forget about putting some Crayons in front of a 13 year old. And let’s be real, in today’s digital age, even the kiddos know how to work with cameras, cell phones, and computers. A photo booth is great entertainment for kids of all ages, especially when paired with backdrops and props. And you don’t have to worry about the wee ones operating the camera, as an attendant will be on hand to help. A wedding photo booth can take your big day to a whole new level – one where you don’t have to worry about keeping guests entertained and friends and family will return home without regret. 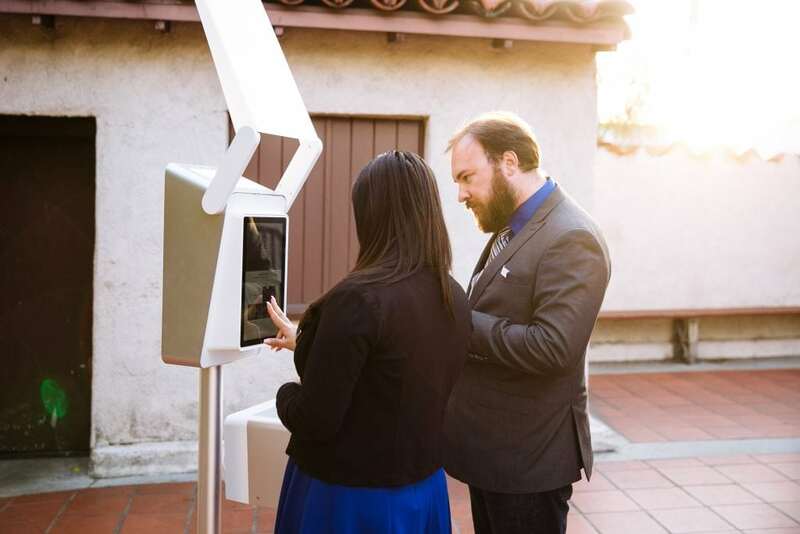 A modern photo booth can’t solve all your wedding planning problems, but it can definitely take care of some of your entertainment issues. Give it a try and see for yourself! Still concerned about problems that may come up and wondering if a photo booth can actually help? I’d love to talk with you about what I’ve learned from brides I’ve worked with!